Print is everywhere this season. Big and bold, bright and cheerful, ditsy and muted, there's something for everyone. But where to start? Let us guide you through the pattern minefield with our handy tips below. Yes our love for animal print never seems to tire does it? This season it’s all about snake print. Its fuzzy pattern and often muted colours makes this a great option for everyone. Choose a base colour that complements your skin tone, it doesn’t have to be the usual grey/green/brown offering. Expect to see lots of spots this spring. Remember the iconic brown and cream dress from Pretty Woman? Well, it’s back. We’ve already 'spotted' this colourway in bikinis, swimsuits, skirts and tops. A very feminine print that some would say is timeless, so check the back of your wardrobes before you go out and buy new. Spots are very flattering on curvy figures. There’s a new busier pattern on the block this season, say hello to the scarf print. Not for the faint hearted if worn all over but great for Creatives who will be more than happy to mix with strong colours, textures and other prints. If you fancy print clashing, make sure there’s some sort of cohesion such as a common colour that ties the pieces together or similar sized prints. If that’s a step too far, you could tie a scarf print around the handles of your handbag or even your wrist for a very chic look. Geometric patterns are ideal for hiding the not so perfect bits of our body - they are the masters of disguise. Straight body shapes such as rectangles will love this design as it complements their angular body shape but hides the mum-tum. Choose your colours carefully and you will have a winner in your wardrobe for years to come. Those with a strong look such as Clears, Cools & Deeps will look fabulous in contrasting colours whilst Softs, Warms and Lights will be far more at home in tonal shades. For the last few years, we’ve enjoyed wearing blooms. Say goodbye to the deeper backgrounds as we welcome fresher shades this spring. They can be difficult to pull off though. It’s really all about scale. Petites may want to avoid the huge prints as they can overwhelm a small frame. However, larger figures will pull these off a treat. ​Need help with your new 2019 style? Colour Me Beautiful Image Consultants are here to help you translate this season's key trends into your wardrobe in a way that makes you look and feel fabulous. Get in touch today to book in for your appointment and let us show you your own best colours and styles to wear. You can start by learning your best colours in a Colour Analysis and body shapes in a Style Consultation. Our most popular makeover is called The Works! 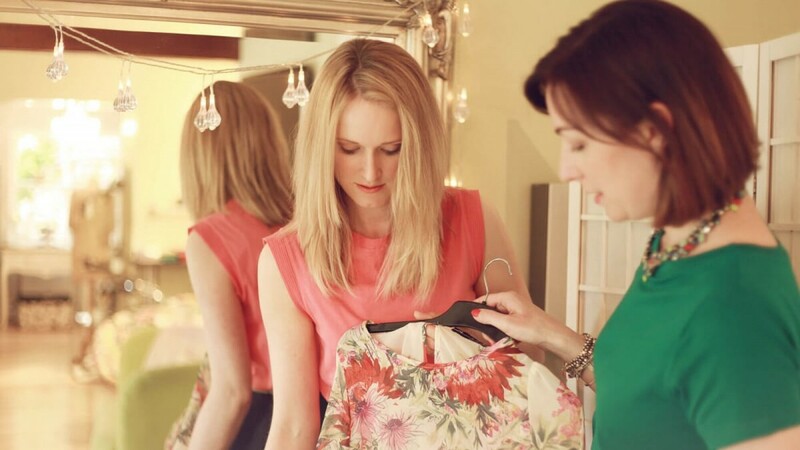 We can also edit your wardrobe to help you figure out what you should buy and then even take you shopping! Hello, welcome back and a Happy New Year to you all. Thanks for stopping by. We hope that you've had a fabulously colourful festive season. As you’re reading this, no doubt your inbox is pinging with sales alerts, 20%, 30%, and even 50% off. Tempting isn’t it? But before you hit that buy button, here is our guide to bargain hunting. Seems obvious doesn’t it but how many times have you hit the shops without a firm idea of what you actually need? A shopping list will keep your mind firmly on the task in hand and you’ll be less likely to make a rash purchase ‘because it was on sale’. There’s a reason that the custard coloured pleather skirt is in the sale…because no one else wants it! Certainly the retailer doesn’t want to be stuck with it for another season. Don’t be sucked in by fashion-led items. Stick to timeless pieces such as trousers, jeans, jackets and coats. The January sales are a good time to shop for investment pieces. Coats, boots and cashmere jumpers will be heavily discounted as retailers make way for their spring stock. Step up your game by visiting shops that are normally slightly out of your price range. Premium stores such as Reiss, Club Monaco, Massimo Dutti, J. Crew and designer shops have excellent sales and that leather jacket that was a little out of your reach before Christmas, may well now be very affordable. 4. Will it work in your wardrobe? Can I make at least three outfits with it? Do I have footwear and outerwear to go with it? Is it appropriate for my lifestyle? If the answer to any of these questions is no, then there’s a fair chance that you will regret it further down the line. 5. Is it your colour and shape? Just because your favourite blogger looks amazing in a bright pink oversized shirt doesn’t mean that it will be the same on you. Hold the item underneath your chin, preferably near natural daylight. Does it make you look fresher and more vibrant or does it make your skin look tired and dull? ​Use your smart phone to take a photo of yourself in the changing room. Does the item look good from all angles? Does it flatter your figure? Don’t settle for second best just because it’s in the sale. You can discover your own colours and style by booking in with your personal Colour Me Beautiful consultant here. You can learn a lot about an item of clothing before ordering it by reading the online reviews. If several comments mention that the sleeves are very long then you might want to swerve it. Unless you have long arms! By holding your nerve and waiting until the end of January, you might just bag yourself a bargain. Of course it means searching through the dreg ends but the reward could well be worth it. It’s not unusual to find 70% discounts. Understanding your own body shape, colouring and style personality will enable you to build a wardrobe of very wearable clothes and . So why not invest in yourself this year with a full image makeover. You can find more information here. To balance your body shape, try wearing it with a thinner knit on top such as a Merino wool or cashmere top and your fuller or pleated midi. This will balance out the volume on your lower half. Dress it up, dress it down! A thin Merino wool baggy sweater layered over a soft moving silk maxi can be dressed up or dressed down. The trick is to keep both the top and bottom fabrics thin. Lightweight wools look chic and a soft silk will move and follow your body as you walk. Depending on the situation at work, wearing trainers will give you that laid back casual style. Wearing trainers to work isn’t what it used to be. In fact, depending on the way you wear them you can look professional and cool at the same time. No scuffs, tears or stains obviously so your trainer doesn’t look like a gym shoe but more of a fashion statement. Another work option is a pencil skirt at the knee or midi length which looks instantly chic with a thin or a chunky jumper/sweater. It’s all about proportions. You can throw a thin layer underneath and it will go from day to night in a flash. ​Remember if you are wearing something tighter on the bottom, you can wear something chunkier on top. How do you use a new trend each season? Do it your way. If you aren't into wearing a suit, you could try a menswear pattern in a midi length for a new twist to your workwear look. ​ Knee length boots or ankle boots can take your look from dressy to casual. ​​I know you can’t wait to shop for the new season but before you flex those credit cards, STOP ✋ Shop your own wardrobe first of all. Did you buy a midi skirt (or dress) last year? Try it on with a few of your jumpers to see if the look works for you. At a Colour Me Beautiful image consultation we are all about using your own wardrobe first and foremost, working with the things that you already own. We talk about how to build a stylish wardrobe. It’s an investment in yourself that keeps on giving, season after season. ​Are you ready for a new season? Over the next few weeks we are here to update your Autumn wardrobe with this season’s trends. We love fashion and taking inspiration from the catwalk, but it is important to ensure that they fit with your style personality, colour category and body shape so that you look and feel fabulous. ​We’re kicking off with ANIMAL PRINT, which is everywhere this season. Here are the things you need to be mindful of if you’re looking to incorporate this trend into your wardrobe. There are many different sizes of animal print and if you choose the wrong one it can have a big impact on your overall look. The taller/grander you are, the larger the print you can wear - something small and delicate will be far too ‘busy’ on you. ​Conversely, if you’re petite, avoid the large, bolder prints as these will overwhelm you. It’s all about keeping prints relative to your size; so the bigger you are, the bigger the print you can wear. Traditional leopard print in shades of browns will look fantastic on WARMS and taupe or grey tones will flatter those who fall into the SOFT or LIGHT colour categories. ​DEEPS will be able to add black to their leopards and COOLS should try finding grey toned patterns. If you’re CLEAR we would suggest adding a colour pop (like a bright lip) or opting for bright and bolder pattern next to your face. Everyone will want to wear their leopards differently. 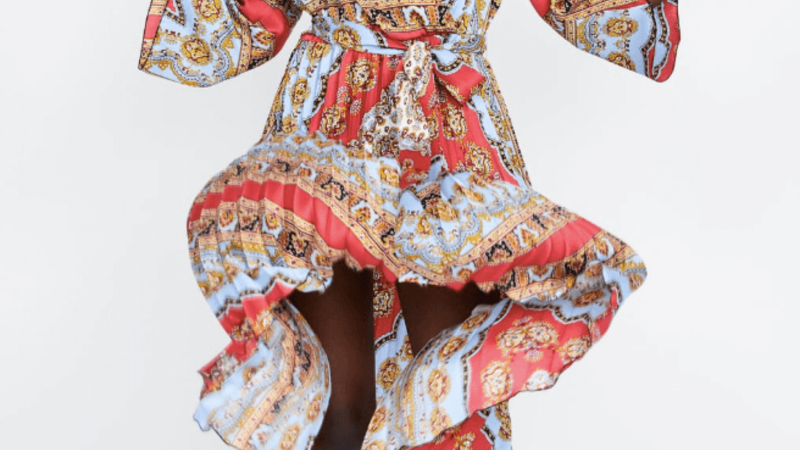 If you’re DRAMATIC or CREATIVE you may well want to go all-out with the animal print trend - try mixing an animal print dress with animal print boots for an all-over look that is being worn by many fashionistas and instagram style stars. ROMANTICS might want to wear a sheer fabric or soft cashmere cardigan in leopard. A little sparkle or embellishment can also give them a feminine twist or you try a pretty scalloped ballet flat in an animal print. CITY CHICS will only wish to do a small ‘pop’ of print and the choice is yours in this area - a belt, boot, bag or scarf are all great ways to give a simple look a lift. CLASSICS will want this trend is a more subtle pattern or as a tiny accent while NATURALS will be looking for comfy styles (we’ve seen some great animal print trainers around!) and build from there. Unsure what your signature style or best colours are and want to get sorted for Autumn 2018? Get in touch with your Colour Me Beautiful in Asia consultant here. Autumn/Winter is around the corner and with it the opportunity to shake up your style, but where should you start? Whilst we’re inundated with ‘hot new trends’ and ‘what to wear now’ articles it can be difficult to know where to turn, and what to buy. We all have that one friend who seems to always look effortlessly stylish. Whatever the occasion they always get it ‘just right’ and seem to be able to look put-together and chic without seeming to have spent hours and hours getting ready. What is the secret of these stylish women and how can we unlock those same style tricks to create the same effect with our own wardrobe? This is where our Colour Me Beautiful style consultation services come in and in today we’re sharing exactly what happens during a style session with one of our Colour Me Beautiful consultants so that you will know how to translate this season’s trends effortlessly into your wardrobe in a way that truly flatters you. ​What is covered in a style consultation? We may be famous for our Colour Consultation services first and foremost but our expertly trained Colour Me Beautiful image consultants also know a thing or two about style. During their personal styling courses our consultants are trained to understand your style personality, body shape, proportions and scale in order to advise you on which styles, cuts and fabrics of clothing will work best for you, and how to style them in a way that flatters both your body shape and your unique personality and style preferences. All of this is covered within a style consultation including advice on patterns and accessories and recommendations for which shops are best suited to you. Our consultants will also talk to you about the key trends for the season ahead and how you can effectively translate these into your wardrobe. What is a ‘style personality’? Colour Me Beautiful have developed a clever questionnaire which you will complete at the start of your style consultation. The questionnaire consists of 10 questions which will reveal which one of six dominant style personalities you are. Style personalities range from creative to classic, romantic to natural and dramatic to city chic - most people have a dominant style personality and then possibly another category that they score quite highly in too. Your consultant will explain what your answers mean and how your personality can be expressed through your style. How does my consultant determine my body shape? Will I have to strip off? No! We would recommend you wear clothing to your appointment that allows your consultant to see your body line (or a loose top layer that can be removed in the privacy of your consultant’s studio if you prefer). You will not need to strip to your underwear or be poked and prodded in front of a mirror! Your consultant will assess your body shape by asking you a few questions and assessing you just by looking at you - it’s as easy as that and only takes a few minutes. How will I remember everything? You don’t need to! During your consultation your consultant will make a note of everything in one of our Colour Me Beautiful style workbooks which you will take away with you at the end of your session. So you can sit back, relax and enjoy the whole process knowing you will have a personalised reference tool to take home with you at the end of the day. ​To shake up your style for Autumn book a Style Consultation with your personal Colour Me Beautiful consultant here. ​A trench is the perfect 'inbetweeny' coat and there are lots to choose from this season. 1. You don't have to stick to the traditional tan if it doesn't suit you. Navy is a good alternative. But there are so many other colours out there too. However, if you plan on having it in your in your wardrobe for years, stick to neutral colours as these have longevity and are more versatile. Camel is big for Autumn 2018. 2. If you're petite, try a cropped style which will balance your frame. One that ends on your hips or thigh length works best. 3. If belts don't work for you, tie it at the back. It will pull in the waist and give a little shape without highlighting the bits that you don't want to show. 4. Single or double breasted? If you're likely to fasten it, a double breasted style is very chic. However it doesn't look as good as a single breasted if left open. Consider how you're going to wear it. 5. Avoid flap pockets that are adorned with buttons if you carry your weight on your hips as they will draw the eye down to this area. Go for a style with side pockets instead. 6. Think about the fabrics you buy. Does it wrinkle? Most people tend to throw a trench over their arm or bag when it gets hot. Be careful not to end up looking wrinkly by buying a trench with high tech fibres which resist wrinkles. 7. Plaids and checks work well from Prince of Wales to tartans, pretty much any plaid is good for 2018. Of course, it helps to know your body shape and then you can decide which plaid or check will work for you. 8. Animal prints are back and look amazing in a trench coat. Instantly makes your outfit an outfit. Why not try something new like a snake print. 9. Glossy fabrics with shine such as a patent leather will not only look good but be perfect for an actual rainy day. 10. Go for a tweed and use textures to maximise your trench coat chic. Wear with a leather or pleather skirt to get the latest 2018 autumn look. Still not sure what is best for you? Get in touch with us here for a personal one-to-one colour and style advice makeover. Click here to learn more about makeovers? It's fun! Behind the scenes - What Happens During A Colour Consultation? If you’re thinking about taking the plunge and booking a Colour Consultation then this blog post is for you. It’s all very well for us to talk about ‘getting your colours done’ - but what do we actually mean by this and what happens during your Colour Me Beautiful session? Who conducts my Colour Consultation? First and most importantly, let us tell you about our amazing Colour Me Beautiful image consultants, as it will be one of these lovely ladies who conducts your colour analysis. All of our image consultants have been through extensive colour training which qualifies them to effectively analyse your colour characteristics. Then they advise you on which colour category you fall into and how to wear your colours. Where will my consultation take place? So what actually happens during my 90-minute consultation? Your session will start with a chat with your Colour Me Beautiful image consultant. They will take you through what colour analysis is, how it works and describe our six dominant colour categories to you before telling you which category to fall into and therefore which colours will suit you best. 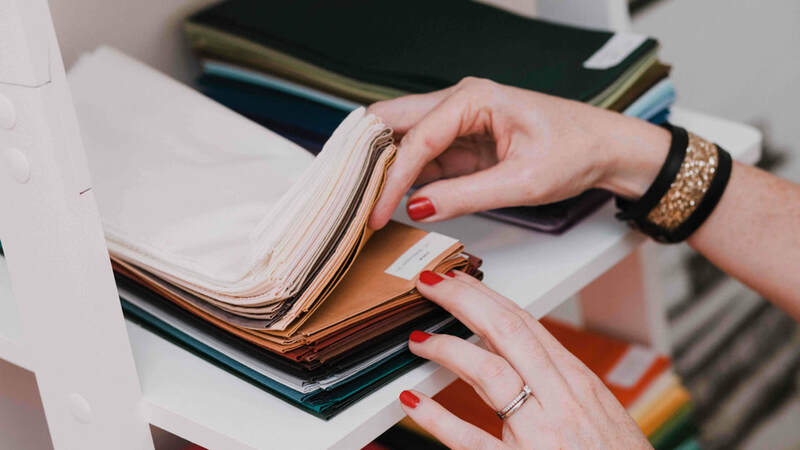 After this they will use gorgeous fabric panels to determine what your sub categories are before presenting you with your own personal palette of 42 gorgeous colours. Do I need to arrive make-up free? Colour analysis is most accurate when your consultant can see your natural skin tone, without make-up. If you don’t wish to arrive make-up free just let your consultant know and you will be able to remove your make-up when you arrive if you wish. Consultations can include the application of a natural, daytime make-up in your best colours if you wish so you’ll leave looking fabulous too. How will I remember which colours suit me? As part of your consultation you will be shown all of your colours and different combinations using drapes to demonstrate the impact they have on your overall look. To help you remember everything you will receive a swatch wallet containing all of your colours and your consultant will make some notes to pop in the front of your wallet which will detail key things to remember as well as your favourite shades and colour combinations. Can I come in on the weekend? Absolutely! We have consultants available who can make it a fun day of colour, make-up and style! To get in touch with your local Colour Me Beautiful consultant here. At this time of year the accessory that tends to get the most wear is usually our sunglasses. It’s certainly true that the addition of a pair of sunglasses to your look gives you an undeniably cool edge - but how do you go about finding the perfect pair for you? With a plethora of shapes, shades and sizes to choose from we’ve put together our definitive guide to choosing the right sunglasses for your face shape to make your next sunglasses purchase your savviest yet. The key thing to remember when selecting your sunglasses is that in order to balance the shape of your face you generally need to choose the opposite style of frames. So for example, if you have a square face you are better choosing sunglasses with a more rounded style of frame as this will soften and complement your features. On the other hand, if you have a round face shape then a more angular frame will work best for you as it will offer some definition and balance. The exception to this rule is for those of you with a heart shaped face - you actually need to mimic your face-shape with your frames. Wayfarers - the classic Ray-Ban style, Wayfarers have been a staple sunglasses style for decades. This style will work for you if you have a ROUND face shape. Round - another classic sunglasses shape, from big bug glasses to the smaller-styles, round glasses tend to come in a wide variety of sizes. They will work best for you if you have more angular features so those with a SQUARE face shape will look great in these. If you have a RECTANGLE face shape a more oval style will work for you with wider arms that break up the length of the face. Do remember to keep your proportions in balance too; the larger the face, the larger the sunglasses should be. Aviators - from the days of Top Gun to now, Aviators will never go out of fashion and will work beautifully for you if you have a INVERTED TRIANGLE face shape as they follow a similar shape. Be aware of the weight of your frames with this style. If you’re petite/have delicate features then avoid heavier frames as these will over-power your face. 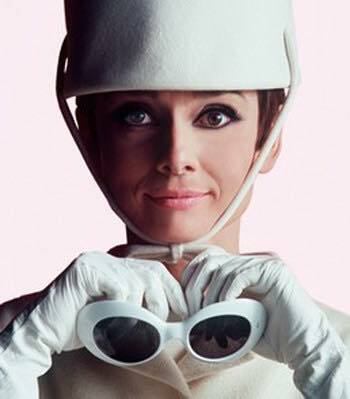 Cats Eyes - add an instant touch of Hollywood glamour with the timeless Cats Eye style of sunglasses. The upward angle of this style works beautifully to balance a ROUND face shape and if you opt for a frame that has a softer curve (rather than anything to angular) then they will also work well to add width to a RECTANGLE face shape. If you have an OVAL face shape then you can wear whatever you like, so mix it up and have some fun! Your only considerations are the size and weight of your glasses to ensure they harmonise with your features. Whatever your face shape, do think about the COLOUR you choose for your sunglasses and use your colour palette to guide you. As your glasses are worn on your face it is vital they’re in a shade that perfectly complements your colour characteristics. It isn’t cold enough for a heavy layers but you still need an outer layer to keep the chill out of those freezing air conditioners. This season there are a lot of lightweight outerwear options. We’ve already taken you through what to look for in a trench coat (you can read that post here), so in this post we thought we’d give you the lowdown on a couple of other key outerwear trends; Blazers and Bombers. 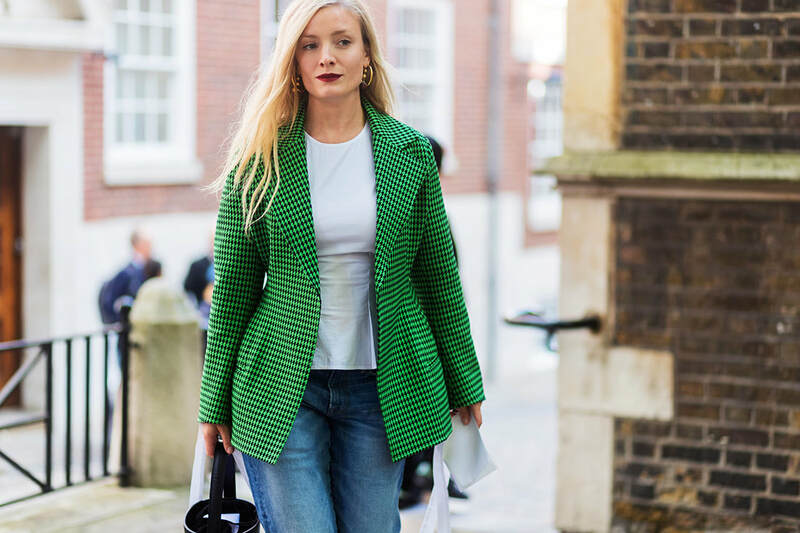 Blazers have been a staple of many a chic wardrobe for several seasons now and they’re back again for Spring 2018. Wear it if… you fall into the Classic, City Chic or Romantic style personalty categories. A blazer will give a polished feel to your look and never goes out of style. Just ensure that whether single or double-breasted, structured or unconstructed, your blazer works with your body shape. Pair it with… skinny jeans or tailored trousers for a smart/casual look, a skirt and lightweight top/blouse for a more formal feel or do as the fash-pack are doing and layer a medium-weight hoodie underneath for a more laid-back feel. Finish your look..…by adding delicate layered necklaces, a statement ring or tasselled earrings to bring your outfit up-to-date and inject some personality. Bombers are the cool-girl outerwear choice for Spring/Summer and with so many colours, patterns and embellished options available you will be spoilt for choice. Wear it if… you fall into the Dramatic, Creative or Natural style personality categories. A bomber jacket gives your look a laid-back feel and works with so many different looks, meaning you’ll reach for it time and again. Pair it with… anything and everything! Keep your look eclectic and interesting by mixing your bomber jacket with everything from jeans to maxi skirts, boho dresses to mini skirts and everything you can think of in-between. Finish your look…by opting for a little interest. There are many embroidered options available (flowers, sports logos etc.) or you could choose a bomber in the colour of the year, ultra violet. The choice is yours so go as eclectic and show-stopping as you dare! Want to discover your style personality and unlock the secret to looking and feeling fabulous? Get in touch with us to find your own personal Savvy Style, Colour Me Beautiful Consultant Here. Do you love Colour and/or Style? If you would like to learn more about how to do Colour Analysis and/or Styling based on body shapes, contact us! Click here to find out how to become an Image Consultant! Is It Time To Try A Trench? If there’s one wardrobe item that is synonymous with Spring, it has to be the trench coat. The trench coat dates back pre-World War 1, when it was designed as an alternative to the heavy greatcoat that Army officers wore. It was adapted to be worn in the trenches, hence where the trench coat got its name. 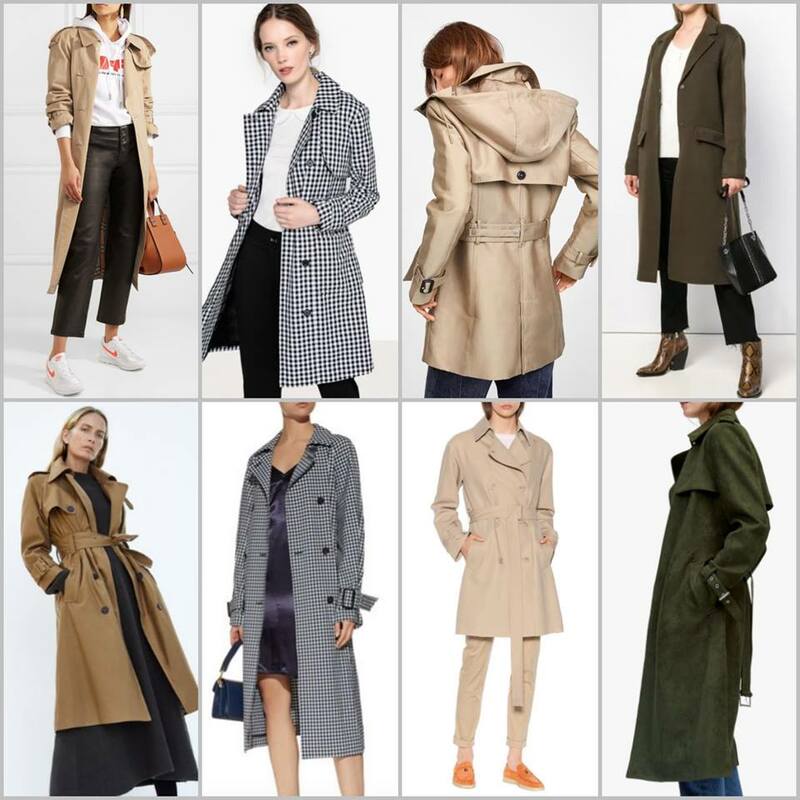 Not only is a trench coat an iconic fashion item, it is also incredibly versatile and the perfect solution for those Spring days when a Winter coat is too heavy, but you still need an extra layer to keep you warm. The fabric you choose for your trench coat is key to how well it will fit. If you have a straight body shape (Rectangle, Inverted Triangle) then a heavier, more structured fabric will work best - those with curves need to opt for a softer, more fluid fabric that will skim their shape. Trench coats will usually come with a belt to cinch you in at the waist. This is great if you have natural waist definition (Hourglass and Triangle body shapes in particular will look great with in a belted trench coat to show off the waist). However, if you have a straight rib-cage and little waist definition, or tend to carry weight around your waist (Oval body shapes) you should avoid belts ideally. As this isn’t possible with most styles of trench coat, try belting yours at the back instead. Some trench coat styles will feature lots of buttons and large collars/lapels. If you have a full bust avoid details like these as they will overwhelm your top half, instead, look for styles that have fewer details to create an uncluttered look. Traditionally trench coats have been in a neutral Taupe/Stone shade - this is a great colour to add accents to but there are now lots of choices available. The two key colour stories for Spring/Summer 2018 are bright and bold OR pale and pastel. Choose a colour that falls into your dominant colour category rather than a neutral to give your look a real lift. For 1-on-1 advice on colours and styles that work for you, get in touch with your local Savvy Style, Colour Me Beautiful consultant here. Let’s get sociable! You can find us on Instagram, Facebook and Twitter - pop over and say hello!